PET jars are great for storing dry products. 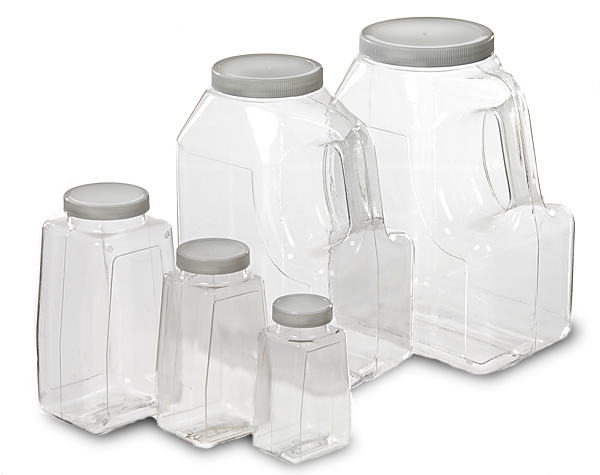 Larger capacity oblongs (96 oz., 128 oz. and 160 oz.) come with handles.